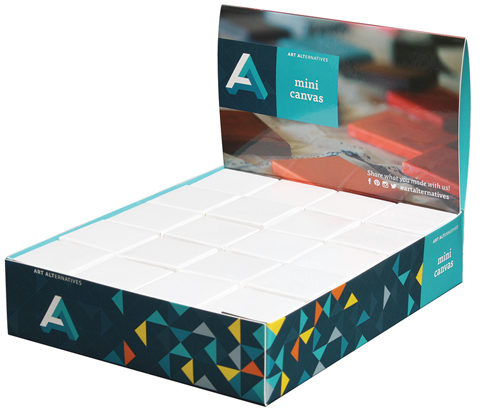 Using mini canvases, create tiny art such as unique format paintings or mosaic tiles to accent your home decor, artwork and craft projects. With your imagination the possibilities are endless! Once completed, your mini art can be displayed on mini easels, traded as artist trading cards and more. Made with the same acid-free acrylic primed cotton duck as the larger Studio and Gallery canvases.